Participate in sport and recreation clubs for Evergreen students. Club sports are open to students at many skill and fitness levels while providing an opportunity to have a great experience and even compete with other college clubs. 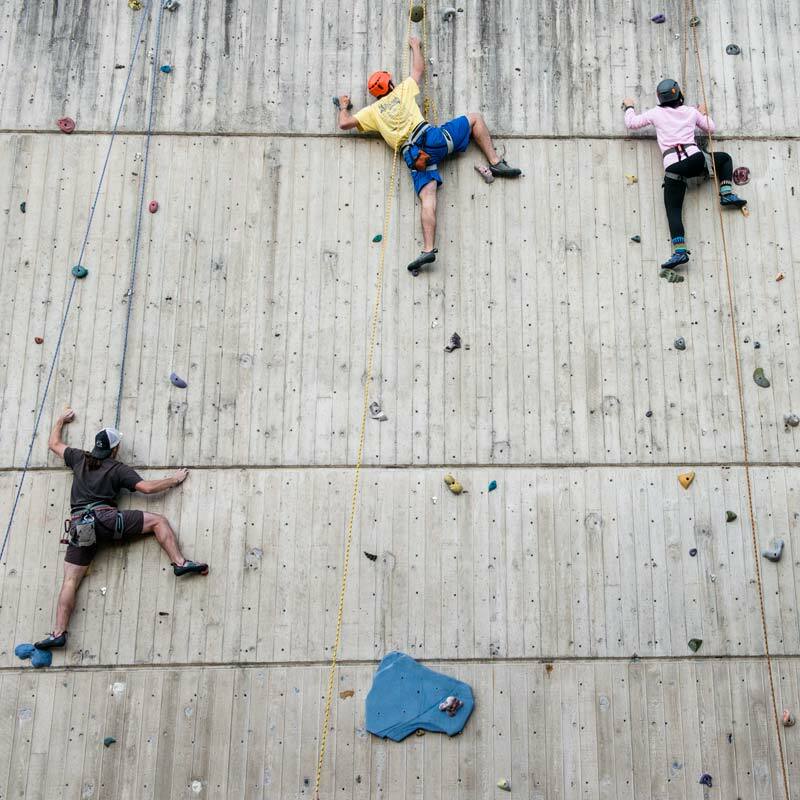 Beyond traditional college sports, clubs are available for rock climbing, snow sports, and dance. Also see the list of more student groups supported by Student Activities. A weekly freeform ecstatic dance. All are welcome! The Evergreen Disc Golf Club provides a fun, healthy, safe, and friendly environment for people looking to have fun by playing disc golf with fellow students. We welcome all skill levels. We work, play, and grow together. Evergreen's GIS Club aims to cultivate a community of Geographical Informational Systems users that can support each other in regard to elevate the role of GIS at Evergreen by developing maps that have positive real-world impacts. The mission of this group is to supplement historical, cultural, and practical knowledge of Judo and to remove barriers for students trying to access local, national, and international Judo competitions and events. Talk to the club sports advisor. Find at least three like-minded people. Get training on running a Registered Student Organization. Funding may be available for your activities or events. We can help you navigate the process.